I quickly got used to that part of my new service, but there were other things I was still struggling with when I moved away and had to lay it down. The Area Meeting organised a Woodbrooke-on-the-Road course for new overseers and elders, which helped me a lot, and my particular group of elders were friendly and mostly worked well as a team (when we could find a time to meet!) which made the job much easier. However, there were always questions we couldn’t answer. Some have been answered in other meetings, and I’ve wished since then that we could have shared ideas more freely. Some questions have no answers, but perhaps we didn’t need to feel so alone with them. Much more recently, I’ve been working with colleagues at Quaker Life to explore how we can best support the role holders in our meetings. 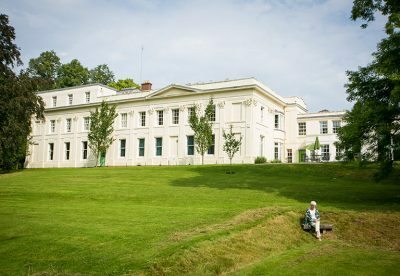 We’re aware that a weekend at Woodbrooke – or a day in your meeting, or six weeks online – can never cover everything. Sometimes new questions arise when you’ve been in a role for a while. Increasingly, people take turns at roles, perhaps trying out most of them over a number of years in a meeting, and double up, taking on more than one role at once. Many meetings are experimenting with new structures – joint or corporate eldership and oversight, clerking teams, and new divisions of work, for example. We’re looking for new ways to support people in all these situations and more. In order to do this, in 2018 we will be piloting a new form of gathering, which we’re calling “Patterns and Examples”. These will be day events held at different locations around Britain, to which everyone who holds a role in a meeting is welcome. Every role is included, whether it’s big or small – if you ‘just’ make the tea, you’re part of the meeting’s pastoral care process. Everyone is welcome, whether they’ve newly started in a role or have been doing this-and-that for decades. Each year, we’ll hold three days at three different places, so if there isn’t one you can get to in 2018, hopefully, there will be in 2019. We’re interested in experimenting with new venues – they need to be fairly large, with room for at least four groups to run simultaneously, but they don’t need to have Quaker connections. Is there somewhere near you which might work? Let us know. Each “Patterns and Examples” day will include a chance to share your experiences with other people in similar roles. 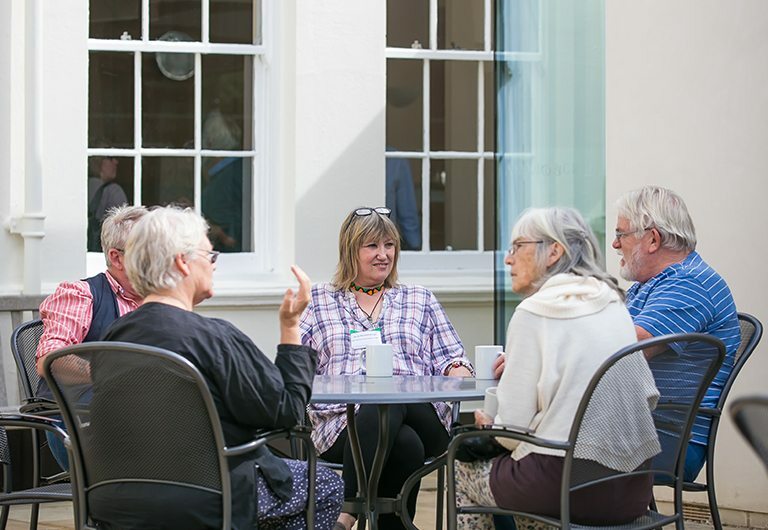 The sharing sessions will be grouped by theme so that you can talk about pastoral care with overseers, members of ‘daisy chains’ and ‘loops’, and doorkeepers, or discuss property issues with wardens and trustees. This isn’t training, but skill sharing: something your meeting does anyway might turn out to answer someone else’s question, and someone else might be able to offer a suggestion that’s just what you need to hear. The experience of Woodbrooke tutors is that sometimes the Spirit can use these open conversations and connections between people with related experience as a way to pass on gifts we didn’t even know we wanted. The day will also include a space to nourish your own spiritual life. Sometimes we get caught up in all the work that has to be done, and forget that service to our Quaker meetings is also part of our spiritual journeys. Especially if like me, you tend to focus on the to-do list and lose sight of the Inward Light which should be illuminating it, it’s really valuable to set some time aside for this specifically. You’ll be able to choose a session which will nourish your connection with the Spirit, whether that’s something playful or something serious, something individual or with a group. If I were a participant, I’d find it really hard to choose between these sessions, but I think I’d probably take the opportunity to engage with the Bible in a new way through the Godly Play option. Or maybe I’d do some mindful colouring. Or… err… maybe I’ll get some divine guidance on the day! Time for worship together supports the day’s activities, with spaces at the beginning and end of the day, and after lunch. Which brings me neatly to the most important part of the day – lunch! In keeping with Woodbrooke’s tradition of hospitality, lunch is included in the cost of attending the event. (We will cater for all dietary requirements; you can give us full details on your booking form.) Taking time to eat and relax together is both pleasurable and a way to improve our connections within the wider community. It might be a chance to swap ideas from the morning with someone else from your meeting or chat with someone from a very different meeting. After the gathering, hopefully, there will be ways – formal or informal – in which you can share your experience with your meeting community. You could consider mentioning it in notices or over tea, asking to report to a committee or a business meeting, or just trying out a new idea and then asking for feedback. Because these are pilots, the facilitation team will also think about whether the event could do more to support role holders. We’d welcome your ideas.